Not long ago, the only “instrumentation” chiropractors needed was their own hands. We palpated for subluxations, conducted relatively simple range-of-motion or leg length exams, and detected subluxations and corrected them. Later, we obtained X-Ray machines that helped verify our visual and manual findings, although we never relied solely on this machine and still remained confident in our sense of touch and sight. That, however, was before outcome measurements, evidence-based practices, reliance on third-party payers, and an appreciation for the science as well as the art and philosophy of chiropractic. Over the years there have been several developments in instrumentation for chiropractic use: weight scales, postural measuring, galvanic skin response measurements, para-spinal thermal devises etc. Although much of the instrumentation has provided valuable information for Chiropractic, it has been rated as scientifically unacceptable and has given non-reproducible results. Thanks to computerized techniques, we now gather a wide range of data for neurological activity, leading to a better understanding of normal/ideal functional levels. Surface electromyography (sEMG) and para-spinal thermal scans made a huge contribution about 12 to 15 years ago. While these seemed to support the chiropractic position of spinal care and joint mechanics, one must question if this deals with cause? Furthermore, X-Rays, sEMG and thermal scans offer a static view of a dynamic being. To base any care on a single static view is questionable. These instruments have served their purpose, which demonstrates the value of objective measurements in replacing the anecdotal foundations of chiropractic. It is better to move towards objective evidence than just sharing our philosophy and telling the chiropractic story. In addition to sEMG, inclinometry and infrared temperature evaluations, instrumentation provides the ability to perform stress assessments and neurofeedback. Much of this was developed by doctors of chiropractic Richard Barwell and Ken Vinton; it translates all data into detailed neurological reports that validate and document all clinical findings and guide health care decisions. This equates to the survival of modern chiropractic practice and plays an important role in case of a lawsuit or board complaint. Another reason to choose the NeuroInfiniti Instrumentation is that it is currently the only reliable system that allows field doctors to participate in a global research project that will prove the effects of how correcting vertebral subluxation impacts the autonomic nervous system while proving the real value of chiropractic care. The ultimate goal is to accumulate and analyze objective data from all the doctors who use the NeuroInfiniti to demonstrate the efficacy of chiropractic, to elevate our professions acceptance insure our rightful place in the health care professions. We need powerful instrumentation that not only aids us in detecting subluxations, but provides an accurate outcome assessment system which correlates the value of what we do. Since chiropractic is the largest natural health care system in the world, we need the highest quality instrumentation. Let’s not settle for less. We are working with state-of-the-art instrumentation developed for chiropractic that will transform chiropractic offices into the most effective, health care resources ever offered to the public. A scientific evidence based practice will act as a patient magnet, drawing families into your office so you can provide the finest chiropractic care. We do not often have the opportunity to revolutionize our offices, dramatically increase our patient volume and revenue, help more people lead healthier lives, and contribute to research validating what DD and BJ represented. Chiropractic is a fast-moving profession. Physicians can either join the frontrunners or be left in the dust. They can either create the practice and the profession of their dreams today or they can continue to do nothing. About the Author – Terry A. Rondberg, DC. As CEO of the World Chiropractic Alliance, Dr. Terry Rondberg is the author of myriad, thought-provoking articles in the wellness field. He is the author of several best-selling books on the subject of chiropractic, and is a sought-after speaker at medical events worldwide. Part Three of three articles. Nevertheless, we’re often ignoring that neurological involvement. As a result, we are known as back-pain doctors and used the same way as aspirin or exercise equipment: to relieve musculoskeletal stiffness and pain. One reason is we were sold a bill of goods to find a “niche” market. Back pain, we were told, was a lucrative market, with nearly eight of every ten adults suffering from it at one time or another. We thought the medical profession would allow us to treat back pain as long as we did not invade their territory. It was also less complicated to describe how chiropractic could ease back pain than it was to explain the entire vitalistic philosophy. It was also easier to advertise. All we had to do was show a person with red lightning bolts radiating from his or her back or neck and we were in business! Do you see the pattern here? Instead of locking our profession in the miniscule musculoskeletal box, we need to reclaim the missing component of subluxation: neurological involvement. The World Chiropractic Alliance is dedicated to this mission. We must discuss with our patients and members of the community, integrating it in our patient education programs. It is also necessary to redesign our advertising so we are not reinforcing the old, erroneous idea of back pain doctors. Furthermore, we should demand that our colleges and research institutions stop plucking the low-hanging fruit by examining the connection between chiropractic and back pain! Field doctors need to start using the NeuroInfiniti instrumentation to accurately measure a patient’s neurological response before and after subluxation correction, and learn to document vital information for use not only in research but for the government and all insurance companies. In the hundred-plus years since DD Palmer discovered chiropractic, we’ve lost much of the spirit and substance of chiropractic. If we lose the neurological component of the subluxation, we will lose our original identity and possibly, our future. I don’t want to wait until someday for chiropractic validation. Certainly, you do not wish to wait to transform your office into a smooth-running and modern, scientific evidence-based practice, with easy-to-use technology that maximizes your patient outcomes AND your bottom line! However, we do not need to wait until that elusive someday. We can have it all NOW. As CEO of the World Chiropractic Alliance, Dr. Terry Rondberg is known worldwide as one of the chiropractic profession’s leading proponents. After receiving his Doctor of Chiropractic (DC) Dr. Rondberg began publishing The Chiropractic Journal, a leading publication in the field. In addition to publishing the Journal—which continues to be an authoritative reference for chiropractic practitioners and professionals —Dr. 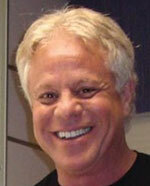 Terry Rondberg has written a number of best-selling books on the subject of chiropractic. Part Two of three articles. Understanding the brain is fascinating, but I must caution that despite stunning achievements, scientists know little about how we apply our knowledge to real-world settings. If we understood how the brain knows to pick up a glass of water to drink, that would be a major achievement. Non-scientists understand even less. I encourage everyone to be a bit skeptical about what they read in the popular press. Occasionally, I read an article that states the new brain science can improve business practice, and I’ll say, “Really?” We use our brains in business management, but it’s premature to predict how the revolution in neuroscience will affect the way executives manage their organizations. Some things we’ve learned have great practical value. Let’s examine the impact of stress on the brain. Stress hurts the brain, which inevitably affects workplace productivity. The brain was created to survive jungles and grasslands and to endure acute stress. For instance, a saber-toothed tiger will either eat a human or force him to run away. In either case, the stress level decreases in less than a minute. One can have several of these spikes throughout the day and cope. In fact, stress is beneficial since it makes our muscles move. But man was created to handle stress for only 30 to 60 seconds. Today, our stress level is measured not in moments with mountain lions, but in hours, days, and months, as we experience hectic careers, screaming toddlers, marital issues, and financial problems. Our bodies aren’t built for this kind of ongoing stress. If you have the tiger at your doorstep for years, then various internal mechanisms break down, from sleep rhythms to specific parts of the immune system. Enduring chronic stress resembles taking an airplane and sticking it in water. Just like the airplane wasn’t built to be in water, the brain wasn’t built to endure chronic stress. The biggest disgrace of modern medicine involves physicians prescribing unnecessary drugs that have not been thoroughly researched and performing unproven procedures on patients. This is one reason why more than 100,000 people die each year in the U.S. due to the medical care they are given. Thank God for chiropractic. But are we any different? We adjust patients on the premise that subluxations have a negative affect on their health, but do we have valid, scientific evidence to support this claim? We know this is true from our first hand clinical experience and we have some research for corroboration, but we do not yet have the necessary, indisputable evidence that accompanies large-scale clinical outcomes. We expect that someday we will prove to the world that the neuromusculoskeletal changes resulting from chiropractic adjustments can result in life-enhancing affect on all organic functions. Research will show that chiropractic strengthens the immune system, aids the body to defend against a variety of diseases and conditions, while improving the quality of life which we believe leads to a longer, healthier and happier life. We will see in the next article how ignoring the neurological component of chiropractic is harmful to the profession. As CEO of the World Chiropractic Alliance, Dr. Terry Rondberg is known globally as one of the chiropractic profession’s leading figures. For decades, he has shown tremendous commitment to the chiropractic profession. After receiving his Doctor of Chiropractic (DC) Dr. Rondberg began publishing The Chiropractic Journal, a professionally edited news source for chiropractic. In addition to publishing the Journal, Dr. Rondberg has written a number of best-selling books on the subject of chiropractic. Part One of three articles. Achieving positive results from chiropractic care is easier than explaining why or how such results are accomplished. This has led the profession to accept that, “Even if we can’t prove why we get good results, we know it works and that’s good enough.” This notion is no longer acceptable. Our critics claim we are unscientific and invalid. We urgently need credible and objective evidence that is published in scientific peer-reviewed journals! Do static radiographs provide proof and/or correction of cause? Is the vertebral mal-position the cause or is it an effect of cause? According to B. J. Palmer, the Vertebral Subluxation is a result of neurological influence and not the cause. Today we have the next generation of instrumentation to address the cause of abnormal neural activity, which leads to abnormal muscle activity and creates abnormal joint mechanics. Such upgraded instrumentation provides information about neurological function at both the cortex (brain function) and at the Limbic System level (sympathetic/para-sympathetic responses). It is designed to test these over time and assess stress and recovery. It is a test for a dynamic system which deals directly with cause and can demonstrate the ability and power of chiropractic to alter neural function. The NeuroInfiniti was developed by chiropractors to provide research findings and has been used in chiropractic offices for the past several years. It is scheduled for its third upgrade even though it is already light years ahead of anything on the current market. The non-reproducibility of static sEMG and/or thermal scans has created many challenges, including third-party pay not covering the costs, which leaves many of the old sEMG/thermal units either gathering dust or used as a marketing tool at mall displays. One can hardly escape reading about neuroscience in the press, and it’s easy to see why the topic fascinates some. Intellectual capital is the foundation of business in the knowledge economy. Yet as with any new field of knowledge, there’s much hype about the benefits of recent developments in brain science. For example, one notion claims that executives can become better leaders by emulating the management secrets of the human brain. Unfortunately, if one emulates the management secrets of the brain, one can create an organization that operates like the stock-market floor on Black Friday. In the next article, we’ll move from the theoretical to the practical application of neurological activity. As CEO of the World Chiropractic Alliance, Dr. Terry Rondberg is widely regarded as one of the chiropractic profession’s leading figures. For decades, he has shown unparalleled commitment to the chiropractic profession, bringing exceptional fervor and youthful vigor to his many endeavors and contributions. After receiving his Doctor of Chiropractic (DC) Dr. Rondberg began publishing The Chiropractic Journal, a professionally edited source for news and features for chiropractic practitioners and professionals.